Nick joined the Grantham Research Institute in February 2018 as Professor in Practice for Sustainable Finance. 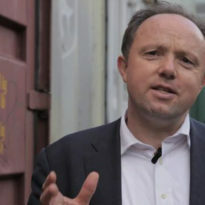 Nick is also co-director of UN Environment’s Inquiry into the Design of a Sustainable Financial System. As co-director of the UNEP Inquiry since 2014, Nick has led country activities in Brazil, the EU, India, Italy and the UK, as well as thematic work focused on investors, insurance and green banking. He also helped to launch the Sustainable Insurance Forum for supervisors and the international network of Financial Centres for Sustainability. Before joining UNEP, he was Head of the Climate Change Centre of Excellence at HSBC. Prior to HSBC, Nick was head of Sustainable and Responsible Investment (SRI) funds at Henderson Global Investors. Nick has also worked at the International Institute for Environment and Development, the European Commission and the Business Council for Sustainable Development. Nick has a BA in History from Cambridge University and an MSc in International Relations from LSE.